Aidan O'Brien saddled six in the Fillies & Mares Stakes and it was 5/1 shot Magical who provided the trainer, Ryan Moore and Coolmore with back-to-back victories in the 12-furlong event with a smooth success. The three-year-old daughter of Galileo travelled stylishly into contention in the home straight and quickened up smartly under Moore to score by a length in the G1 event from the John Gosden-trained Coronet, who stayed on well to finish second, three-quarters of a length in front of her stable companion, the well-backed Evens favourite Lah Ti Dar, back in third. O'Brien landed the 2017 renewal with Hydrangea, who finished fifth in this year's contest and he was delighted to record another success in the 12-furlong contest. 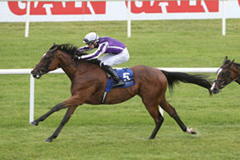 The master of Ballydoyle said: "We're really delighted with Magical. "We were always going to take our time on her. She had a lovely position and relaxed lovely, so we couldn't have been happier. 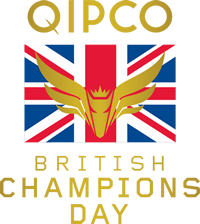 "We thought she was going to be a real contender for the Investec Oaks at one stage, but suffered an injury beforehand. "We thought she would handle ease in the ground as she had form on a softer surface as a two-year-old so we are really delighted with her. "She ran well in the Arc and she was only just coming back to full fitness in that race. Wayne Lordan rode her in that race and he said there was no doubt that she does stay a mile and a half as that was her first time over the trip. "She's had an injury already this year and she would have to be 100% if she went to America (for the Breeders' Cup). "We'll see how she comes out of this and the lads [owners John Magnier, Derrick Smith & Michael Tabor] like they always do will see how she is and then think about what race might suit her. "The horses are running great. It's a great meeting, it's great to be here and it's great to have horses able to run here so we feel very privileged." John Gosden saddled the second and third, but he was looking ahead, not back, after their defeat. Lah Ti Dar was driven into the lead by Frankie Dettori turning into the home straight, but Magical quickened past her and was strong enough to hold the late challenge of Coronet, who was third in the race last year. Lah Ti Dar stayed on to take third, the trio finishing well clear of the fourth horse, French challenger Kitesurf. Gosden said: "She [Coronet] was forced wide by the draw, she got a clear run and ran an absolute blinder - but full credit to the winner - while the other filly [Lah Ti Dar] ran a super race, but as you can see from looking at her, she's big and rather unfurnished and is a next-year filly when she's bigger and stronger. "She will be put away until next year, while Coronet is going to Italy - assuming she comes out of this race in good order - for the Premio Lydia Tesio."